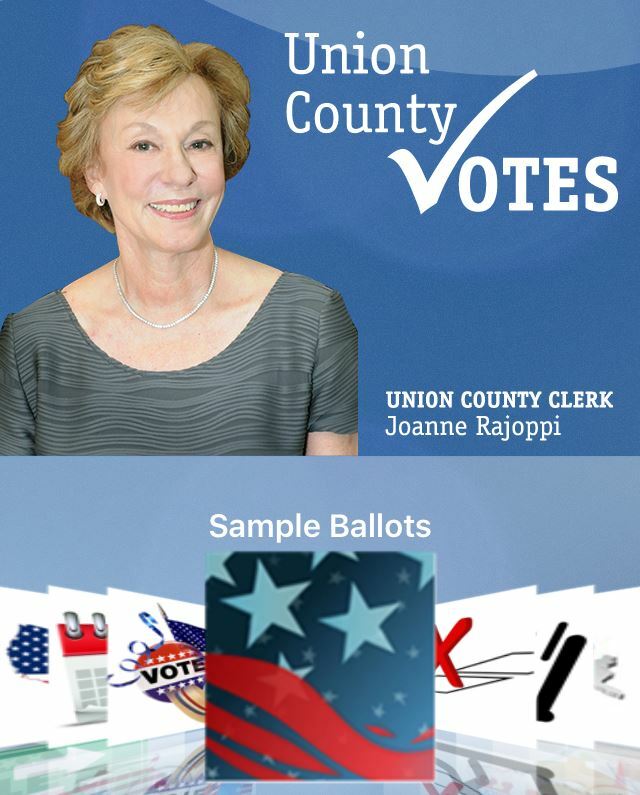 Union County, NJ – Union County Clerk Joanne Rajoppi is pleased to announce that sample ballots for the June 7 Primary Day are now available on the Union County Votes! mobile app and the County Clerk’s website, ucnj.org/county-clerk. Union County Votes! is available as a free download for mobile phones and tablets. Ms. Rajoppi also reminds Union County residents that any registered voter can cast their vote early for any reason, by using a Vote-By-Mail ballot. Voters should allow 3-5 business to mail their ballot back in time to be counted on Primary Day. The deadline for requesting a Vote-By-Mail ballot by mail was May 31. Voters can still obtain a Vote-By-Mail ballot in person after that date, by visiting the County Clerk’s Main Office in Elizabeth or the Annex in Westfield. Voters who obtain their ballot in person can also use the County Clerk’s convenient One-Stop service to fill out their ballot and cast it in a secure collection box, all in the same visit. Under a new state law, voters who opt to use the One-Stop service will need to show a New Jersey driver’s license or other New Jersey ID that provides their name, address and photo. For complete details on all County Clerk election services, including Vote-By-Mail deadlines and extended office hours for One-Stop service, call 908-527-4996, download the free Union County Votes app or visit online at ucnj.org/county-clerk/elections.